2 and half cups of flour. sugar to taste i normally add half cup of sugar or more it depends on whether you like sugar or not. Mix all dry ingredients together mix properly, now add Luke warm water bits by bits carefully untill u make a smooth running Paste, it should be thicker than pancake batter. Cover and allow to rise in a warm place for 45mins. After 45mins heat some vegetable oil the vegetable should be much in such a way that when you drop balls of Puff Puff it should float in the oil freely. 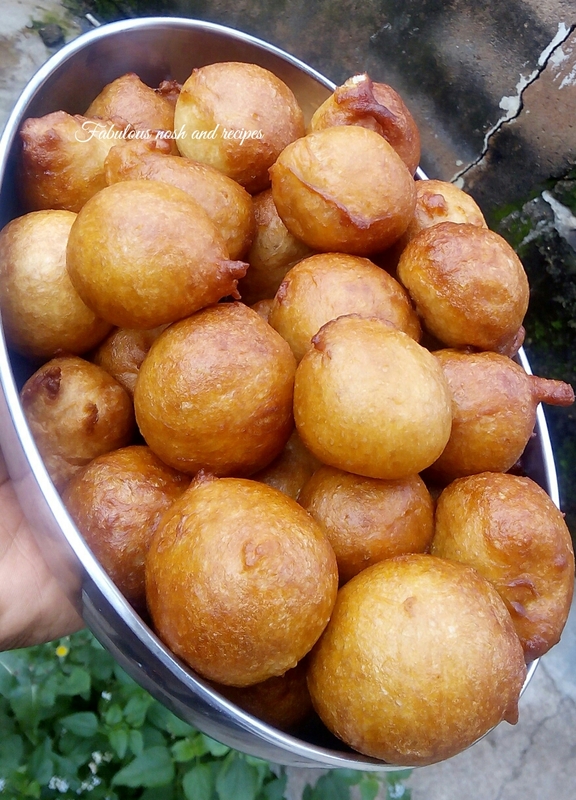 Now scoop some batter into the oil with your hands by squeezing out the batter from between your thumb and index finger this will make the Puff Puff round and spherical shape, fry on medium heat till both sides turn brown, turn at intervals.